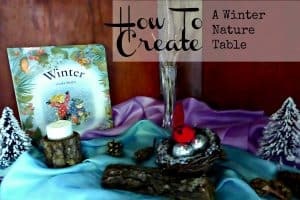 A nature table is a space–most often a table, corner, or shelf–dedicated to placing objects that reflect the season or what is happening outside. A nature table can also pay tribute to holidays, festivals, and family and/or local culture. There are so many wonderful ways to design these based on the space you have, your purpose, your interests and values, your resources, the age(s) of your children, and your mood. I have found that having a nature table is a great way to get my daughter and I outside exploring nature and learning about everything under the sun–literally–in ways we might not if we didn’t have one. We have so much fun going on walks in our neighborhood, local hikes, or adventures in our backyard collecting things for our table–a corner shelf. There is so much more going on than the simple collecting and admiring of these objects. We talk about what we find and these experiences really seem to soak in deeply, opening up a space of understanding that no other type of learning seems to be able to reach. There is no better science lab, or sensory activity than pure and simple outside play. It’s also very exciting for her to find things and know that she has a place that she can take it home to explore in more depth. The sparkle seen in her eye when she declares that she is going to bring something home for the nature table is quite magical. 2 pieces of wood cut from a fallen branch of the oak tree in our backyard. We used one to hold a small soy tea light, and another for the yule log. Small pine cones and rocks my daughter collected on our daily walks scattered about. You can use any natural materials found in your area at this time of year. Winter Board Book by Gurda Muller [I have provided an affiliate link. 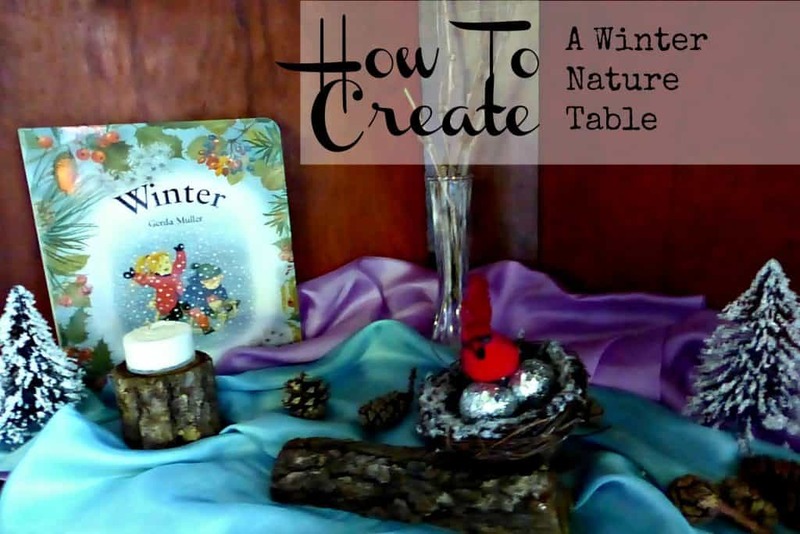 Muller has a book for all seasons and we always have one of her books and sometimes some others that reflect the season, holiday, or festival we are celebrating on our nature table. You can create your nature table exactly as you like, you can be as minimal or as outlandish as you please. There are no limits other than the limits of your own imagination. Now go get outside and find some magic to take home with you. I’d love to hear about your nature tables and your experience with them if you’d like to share.